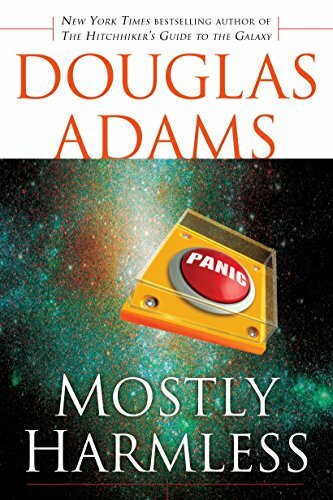 In the fifth 'Hitchhiker' adventure, Arthur Dent, Ford Prefect, and their cohorts again ride to everywhere from New York City to the edge of the Universe. By the author of The Deeper Meaning of Liff. Reprint. 250,000 first printing. $100,000 ad/promo. Itâs easy to get disheartened when your planet has been blown up and the woman you love has vanished due to a misunderstanding about space/time. However, instead of being disheartened, Arthur Dent makes the terrible mistake of starting to enjoy life a bitâand immediately all hell breaks loose.